Lower forecast: A shrinking in plantation area may see production of refined sugar falling to 20 million tonnes in the 12 months ending September, lower than the August forecast of 22 million tonnes. 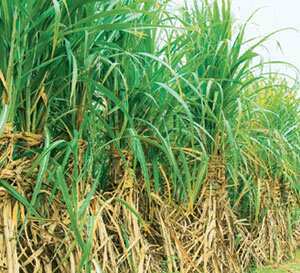 Mumbai: Indian sugar refiners may raise imports of raw sugar after contracting to purchase 200,000 tonnes this year as a reduction in plantation area cuts domestic sugar cane output, an industry group said. Purchases by India, the world’s biggest sugar consumer, may bolster global prices, which dropped to a four-month low last week on concern about a global recession. Sugar for March delivery rose 3.7% to 11.64 cents a pound at 1.34pm India time on the ICE Futures US, the former New York Board of Trade. The commodity has fallen 11% in the past six months. “Some refiners have contracted to import raw sugar from Brazil in recent weeks for re-exporting," Jain said. “Mills may import more in coming months depending on global prices." The premium of refined sugar over raw narrowed to $88.72 (Rs4,267) a tonne on 10 October from $99 a tonne a week earlier. Shree Renuka Sugars Ltd, India’s biggest refiner, in August bought 30,000 tonnes of raw sugar from Brazil for October delivery at Haldia, a port on the eastern coast and the site of its 2,000-tonne-a-day mill, which started production in June. The commodity was bought tax-free for turning into white sugar for export. “Global sugar prices are soft and the freight rates have fallen by nearly half, making imports attractive," said Sanjay Tapriya, finance director at Simbhaoli Sugar Mills Ltd. “Importers will still be looking at the premium white sugar has over the raw sugar to decide future purchases." India’s sugar cane production may decline to 294.66mt in the year to 30 June 2009, 13.5% less than last year, after farmers shifted to more profitable crops such as grains, according to the ministry. “The crop is in good shape and crushing may begin from the first week of November," Isma’s Jain said. “Some mills in Andhra Pradesh have contracted to import sugar as the crop there is not very good." India will consider a proposal by sugar mills to allow imports of raw sugar to help them use any idle capacity, agriculture minister Sharad Pawar had said last month. Under the plan, sugar makers will process imported raw sugar and sell the refined sweetener in India. At present, they can import raw sugar duty free only for exporting the refined sugar. Sugar exports from India have come to almost a “standstill," Jain said. The nation may not export more than 1mt in the year to September, he said. Exports totalled 5mt last year, PTI had reported on 2 October, citing Maharashtra State Cooperative Sugar Factories Federation’s managing director Prakash Naiknavare.